The Kardashian's have an annual Christmas tradition of a family Christmas card. The Christmas card has been getting more and more fashionable as the years passed by and their last name became more popular. 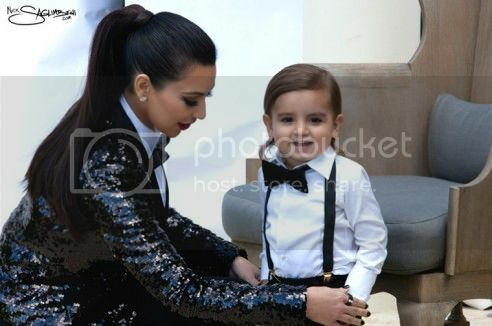 Even though her hubby didn't make it to the family picture, the Armenian princess, Kim Kardashian still looked beautiful. 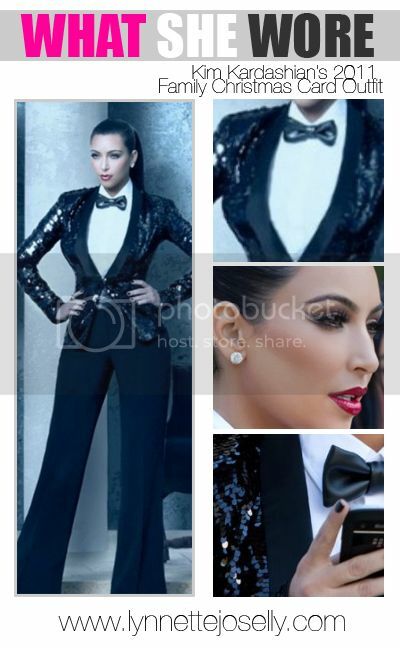 Kim rocked a $495 Rachel Zoe sequined blazer with a white button up blouse, black bow tie, and black pants. She rocked her hair slicked back in a pony tail with bright red lips and extended double eyeliner. 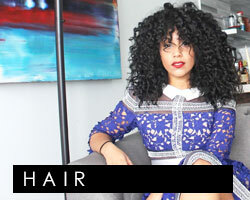 The blazer is illuminated with black sequins and opens in the front with satin lapels.